After three years of investment into participating in numerous training camps and exhibition games, hosted both domestically and internationally; Japan, New Zealand, Sweden, Denmark, the Australian Women’s Under 18 Team (NWU18T) will finally get their opportunity to compete officially on the world stage, in Austria starting 7 January 2016. NWU18T has been scheduled to compete against Poland, Italy and Great Britain in Group B of the Qualification tournament. Also competing at the tournament in Group A is Kazakhstan, Romania, China and Austria. After the round robin, based on ranking, there will a cross-over round between the respective groups to determine who is promoted to Division 1 and confirm rankings for rest of competing teams. “Austria pose to be biggest threat as they were relegated in 2015. We also anticipate Poland and Italy to be strong contenders as they have many players returning again this year as does China” informs head coach Tamra Jones who has been a part of the program from day one. 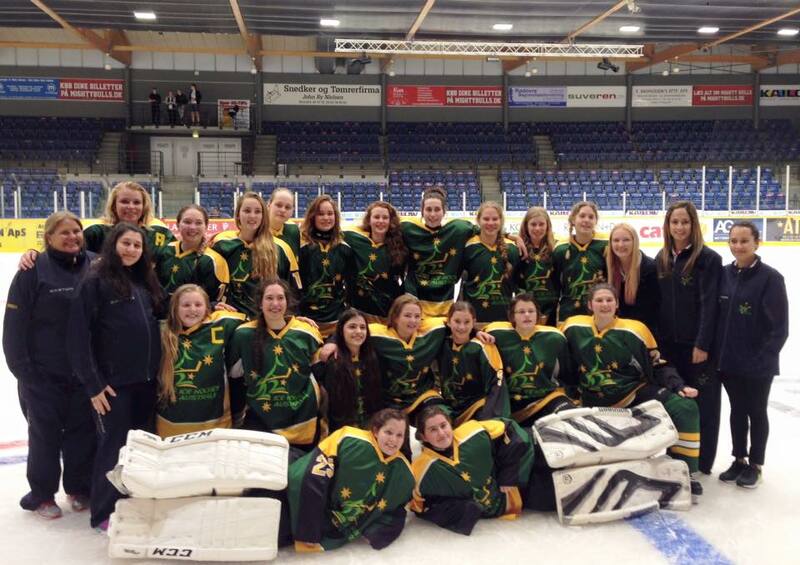 Women’s Ice Hockey continues to grow around the world and Australia is no exception. “The U18 Program has evolved into having over 80 plus girls registered now, who have attended previous camps/tours. With 10 players who have since graduated into the senior aged program” adds Jones. The Women’s U18 tournament was introduced back in 2008, of which saw 8 teams compete and now has expanded to see 22 countries participating in 2016, with Australia amongst them. The future of the AWIHL also looks bright with over 50% of the Under 18 players honing their skills during the summer. But the program isn’t just a big coup for the AWIHL, it also gives the National Women’s Team Program an edge, explains IHA Women’s Director Rocky Padjen “The successful national teams in women’s hockey have strong U18 programs. Hungary is a good example of this and their National Women’s Team has risen steadily in the world ranking as a result”. Whilst no official plans have been announced to expand to a division 2, the addition of 8 teams and counting in qualification suggests it isn’t far away. We wish the inaugural NWU18T listed below the best of luck. You can follow the team at the IIHF website here: IIHF Website Championship Link as well as the IHA and NWU18T Facebook pages.